The 18th of July, Francisco Ibáñez, R&D Projects Director at Brainstorm Multimedia, and Javier Montesa, R&D Technical Coordinator at Brainstorm Multimedia, visited the Dem-3DTV of the Grupo de Tratamiento de Imágenes (GTI), located in in the Support Center for Technological Innovation (CAIT-UPM) in the International Campus of Excellence of Montegancedo. During this visit the different researching lines of the GTI were shown. - 3D Graphics and Virtual Reality. 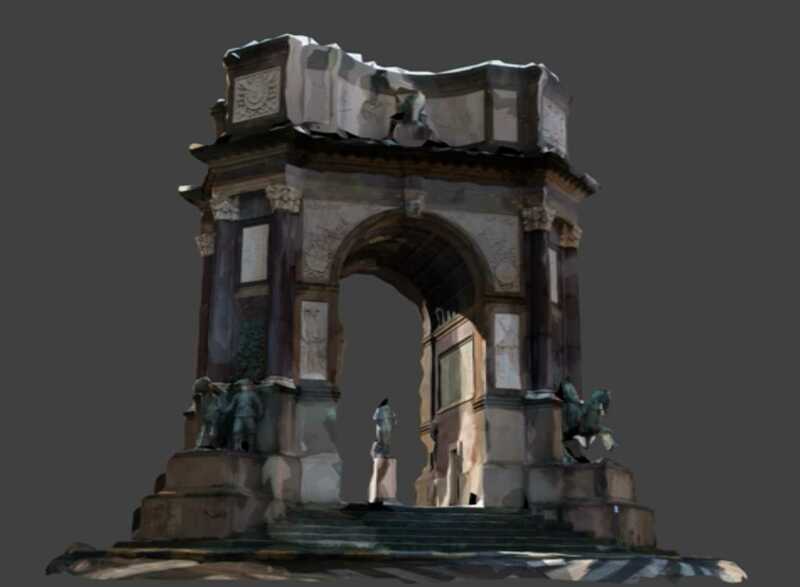 3D building reconstruction, 3D humanoid reconstruction, virtual views etc. - Video Transmission. 3D streaming systems over IP networks 3D autostereoscopic. - 360VR Streaming services. Using http streaming as well as DASH technology, stereoscopic cinematic 360VR contents are streamed to a SamsungVR client in a Samsung S7 equipped with Samsung Gear VR glasses. - Human-Computer Interaction. Design and development of image and video descriptor for RGB-D images for classification purposes in HCI applications (face detection, hand-gesture recognition, human-action recognition…). - Quality of experience (QoE) in multimedia services. Quality of Experience in IPTV, 3DTV and Adaptive Streaming systems. - Geo Registration. Process of assigning 3D-world coordinates to the pixels of an image. It allows UAVs to fly in GPS-denied environments when reference data is available. - Object detection and tracking. Combination of the readings from multiple calibrated cameras with overlapping fields of view for collaborative tracking.